Every year around 14, 000 students from over 100 different countries choose St Giles for their English language and learning needs. Established in 1955, we offer nearly 60 years’ experience in providing excellence in training for people of all ages, all needs, and from all over the world. 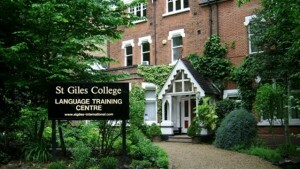 Our London Highgate school occupies a beautiful building in the fashionable north London suburb of Highgate. Highgate is a leafy and prosperous part of the city with excellent transport connections to the centre of London, which is only 20 minutes away. Many of our host families and residences are within easy walking distance of the centre, and local sports, shopping and leisure facilities are excellent. 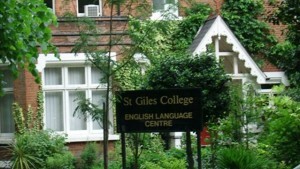 Surrounded by its own quiet English garden, St Giles Highgate is ideal for learners looking for a peaceful and focused place of study, with lots of personal attention. 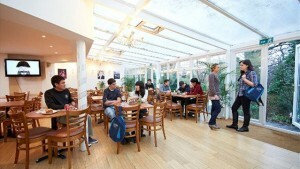 The welcoming school combines a relaxed atmosphere with expert teaching and high academic standards. Starting in 2015, London Highgate will be accepting students from the age of 14.